I am writing to bid you farewell as I approach the end of my time at INASP. From 1 January 2015, the new Executive Director will be Julie Brittain. Julie and I joined INASP on the same day in January 2012. Julie had left a post as Head of Library at IDS to become Director of Programmes and Deputy Executive Director. I, on the other hand, had taken on a short-term assignment as Interim Executive Director with a brief to hold the fort until a permanent appointment could be made. 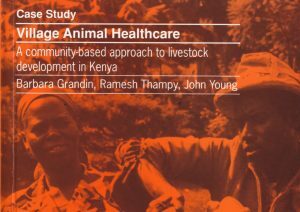 Coming from a long career in scientific publishing, I knew very little about international development but was fascinated by the opportunity to do some work with a small but well-respected organization in a very different sector. It took some months for me to realise that INASP and its work were far too interesting for me to stop at holding the fort and I was delighted to be appointed as Executive Director later that year. A lot has happened in the last four years. We started two ambitious new programmes, which are both now at their midpoint. We increased our funding by 60%. We rebranded, launched a new website and established professional monitoring and evaluation and communications teams. We have grown from 18 to over 30 staff in order to build the skills that we need to operate effectively in a much more complex and scrutinized environment. That, in turn, led to an office move earlier this year – just 200 metres away but to a much more calm and creative working space. 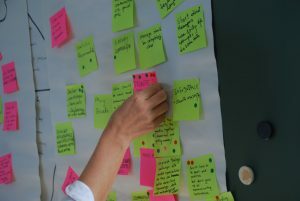 Under Julie’s guidance, we committed wholeheartedly to putting sustainability at the heart of all our programme work and that has meant a lot of questioning, piloting, iteration and more questioning. But the team responded magnificently to the challenge. There are in INASP a questioning spirit, a drive for excellence and a long-term commitment to our mission and our partners, which make this a very stimulating place to work – if occasionally a little exhausting. Through all this change, we have been unwaveringly supported by our partners in higher education and government in the 24 countries where we work. They too have been challenged to do things differently, to take local responsibility for functions previously provided by INASP and to commit to clear outcomes. Even though many of them work on a voluntary basis on top of a busy day job, they too have risen to the challenge and have shown themselves eager to learn and to support each other within and across countries (see my blogs here and here for some examples). 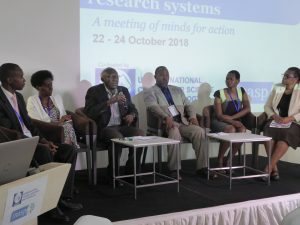 In many countries, despite the ongoing problems of working in resource-poor contexts, there is now a sense of ambition and confidence around research, evidence and the importance of generating local knowledge to meet local needs. 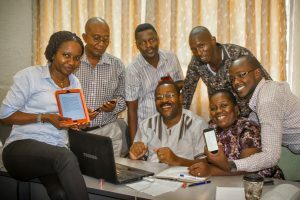 At a time when the world’s focus is on the new UN Global Goals and the possibility of a real outcome from COP21, it has never been more important to mobilize research knowledge and evidence for sustainable development. We have this year been working on a new organizational strategy that will take our support for that to a new level. There is no-one better than Julie Brittain to take INASP forward. It has been wonderful to share my time with someone with such a fierce intelligence, commitment to excellence and deep knowledge of international development. INASP is in very good hands. Great job Sue and good luck Julie.